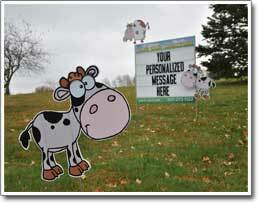 Yard Card Creations, for special occasions! 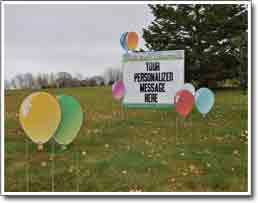 How do I order a Yard Card Creation for my occasion? Ordering your display is the easy part, but the tricky part comes when you have to decide which display you should get. We recommend starting by looking at the displays we have to offer and then match it up with one of the message-board sayings! Click the "Like" button for a chance to win a free yard card! Have you HERD the MOOOS? 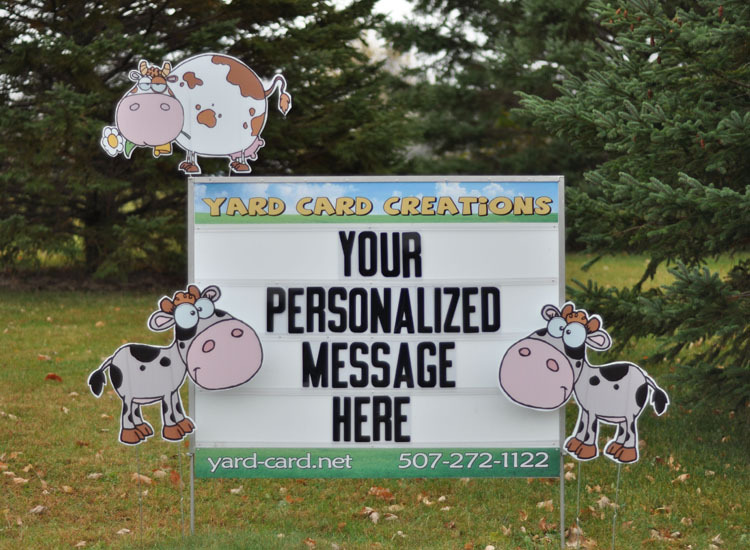 Yard Card Creations now has a new display that we can send to graze in your yard! This yard card is a great way to help celebrate your special occasion and is quickly becoming a fan favorite! Proud Member of the Lawn Greetings and Stork Rental Directory.